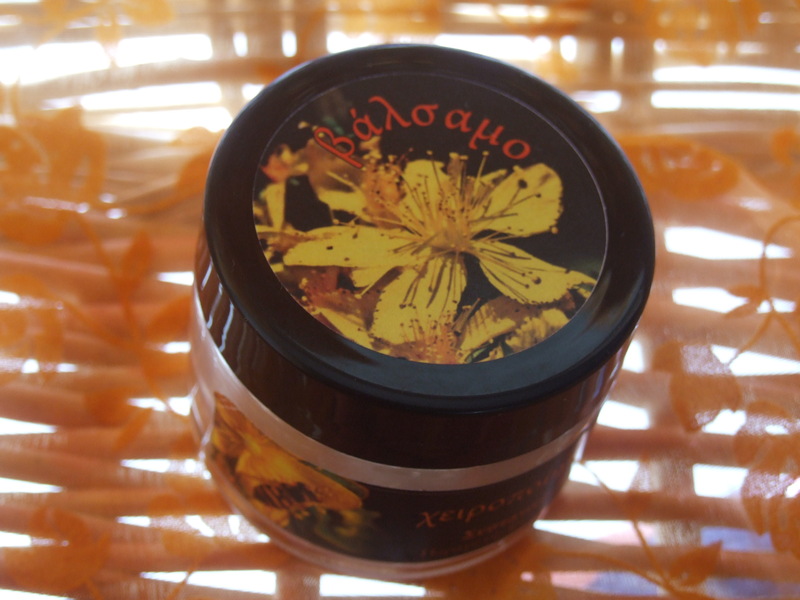 In our garden we product every year hand made bee wax cream made from st john wort oil , bee wax and essence oils. Our product is with out any chemical and is based on ancient receipes used thousands of years from all the civilazations in our planet. These creams are protecting the skin from the enviromental changes , are closing wounds and healing burnings.